Welcome to the inaugural combined WEP/IWSG challenge. It’s been a while since I participated in this wonderful flash fiction challenge. My story concept for this theme came to me in a flash. At first, it was all over the place. Then I had to work on getting it onto paper in a coherent way, keeping it to under 1000 words. I’m still looking for a title to this suspense story. This is the result. Enjoy! “We’ve traced your son.” Ms. Landers, from the Kith & Kin Family Search, smiled at the couple. Brent’s heart lurched. It was a moment he had longed for and yet dreaded. “You have? Where is he? Is he okay?” The words tumbled from his lips. “Jo-sh-ua.” Paige’s lips moved softly, dragged it out, savoured the sound. Years of anguish to discover that his lost child was a stone’s throw away. Such is the cruelty of life. “Joshua.” A gentle re-connection, as Paige stared at the baby photo she had unearthed from her bag. Brent had forgotten about that photo. A fragile lull enveloped them. Brent’s gaze latched onto the clock above her head. It ticked a slow, strange rhythm, reminiscent of a similar moment many years before. The day they had returned home, empty-handed. “Brent, we need to go. It’s already late.” Paige dragged her eyes from the photo. “Yes. No. I mean…” Words stuck in Brent’s throat as the string of unfolding events wreaked havoc with his emotions. Brent’s mind went into overdrive. Joshua Perkins. Would he even want to see them? “My son, the attorney.” A lifetime of pride in four words. “I’ll be in touch.” They shook hands. From the private ward on the tenth floor, Brent studied the panoramic view. The best hospital, best doctors… the best of everything. Yet Gary had turned out to be a major disappointment. Brent gritted his teeth. Too many slips and too many ‘I’m sorry’s’. Gary flinched and his mouth tightened. “Honey how could you?” Paige’s dagger eyes pierced her husband’s soul. “Isn’t that wonderful. Your long-lost son. It’s all I’ve ever heard. Day in, day out.” Sweat beaded Gary’s upper brow. “Shhh. Calm down. You’re supposed to relax.” Paige patted his hand and wiped his brow. “Are we all set? Got a new heart waiting, son.” As he waltzed into the room, Doctor Robertson’s warm tone cut through the suffocating air. Gary gave a thumbs up – closed his eyes. The drive home was in icy silence. “Still holding a grudge.” She downed the contents in one go. “Oh, so that’s your defence. I’m the one who’s at fault?” He knew how to turn the tide. For years, a stark image of his wife staring at the baby photo had haunted him. “He’s all I have.” Mary shivered. “Not anymore… Ms. Landers said…” He stopped. God, what a mess. Brent shut his eyes. God, forgive me for the years of deceit. “Why didn’t we look harder?” She slumped onto a chair. “I tried, have you forgotten?” The lack of conviction was obvious. Even to his ears. The truth was, he had never looked for their son. Until recently. Gary’s operation was successful and the waiting game began. Ms. Landers left a voice mail. She was working on the lead and ready to make contact with Joshua Perkins. After two weeks, a meeting was scheduled. The three sat around the dining room table. Ms. Landers shook her head, a forlorn expression clouding her face. “It’s not that.” She struggled with her words. “An accident?” Brent couldn’t think straight. “Nooooo!” A strangled sob escaped Paige’s lips. Brent put his head into his hands. Such is the cruelty of life. 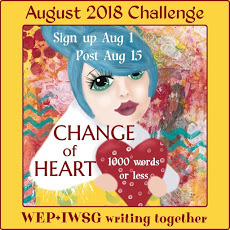 I hope you enjoyed my contribution for the WEP/IWSG August challenge. For more information, visit the WEP website. I’m going to be very busy over the next two days so I’ll only be able to visit other participants by Friday. I’m really looking forward to reading all the entries. Wow. As soon as I read about the accident and the donor I wondered. And now my fertile imagination is working overtime filling in the back story. And the future for all of the participants. How will Gary feel, when he learns his brother’s heart is giving him yet another chance? Very compelling! It’s a story that easily could turn into a novel. So much to be told, an exciting look at people and their choices, a family in turmoil with a future many would want to see to conclusion. Great entry! The story premise is brilliant and the writing engaging. Your excerpt made me want to know more about the backstory. Always a pleasure to visit your blog. What a strange way of getting back the son who had been missing. His heart is now in the body of his brother. Will things change? Wiss Brent be able to live with what has happened? You can so much deeper with this story. It was indeed intriguing. A powerful piece of writing which has great potential with plenty of threads to develop or pull. I was slightly unsure of the time flow at one stage – but I might have been distracted by noises off. 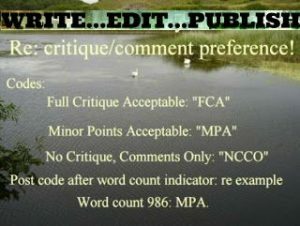 As you revise and develop this, I’d like more bits between the dialogue – but that may just be my style. However, great starting point for a fascinating premise. Michelle, this is so very good. My writer/reader imagination kicked in for sure. Had some faint idea of what may have happened. I can totally see this as a novel that lots of people will enjoy. Sure a twist of fate to get back a son. Great foreshadowing as I guessed that was coming. Maybe he’ll wise up now, or dig a deeper hole. Sometimes, life gives us a gift, and sometimes it deals us a blow, but in this case, those two are inextricably linked. It is a tragic story, but there is hope too. Great story although my sly mind guessed what the outcome would be. This so could be a novel. Perhaps one of those literary fictions where you have 4 POVs. I’d be so into Gary’s POV. You’.ve given us a glimpse already. Brent to me is the least likeable character. This could be such fun! Go for it! Thanks for joining us again this month! Looking forward to further entries. Maybe you could use each prompt to write your story as Olga and others do. A clever story with some neat threads to pull/explore/develop – go for it. I sussed what was going to happen, but I am a mystery addict. I like your style – one suggestion when you go to the next step: build in more between the dialogue lines to add to the atmosphere that you have created and to develop your intriguing characters. Compelling. I couldn’t wait until the end to see if I guess right about the heart. I agree with others who say this could be developed into a full-length novel. Although Brent seems uncaring, I’d like to know more about why he feels that way toward Gary. I’d also like to know how they lost their son. This piece raises so many questions. Excellent job. Ouch! Oh, I feel so badly for this family. Especially for Gary — I hope his father finds a way to reconcile with him. I’d love to read a longer version to find our more about their past and about what happens! That’s a lot of mending that needs to happen now. Quite a twist on organ transplants and donors. I too would like to know what Gary had done and how did they lose Joshua in the first place? Really tragic to find him and lose him before they ever got to meet. Ah what a sad twist of events–son found, son lost. I’m imagining all of the guilt involved. Good job. Great story! I feel as though I was brought right into that family’s personal lives. It makes me wonder what might happen next, between Paige and Brent, and when Gary finds out. A quick-paced tale with a nice balance of regret and irony. Enjoyed the more literal take on the theme. Well done. It’s a good story. I was kind of hoping you might have not mentioned the lost son until the last paragraph where you tied him into the story. At the very last the doctor mentions the name of the donor and then see the lawyer and he mentions the name of your lost son. To come so close. He’s still sort of with them though. I was afraid he’d be the accident. Such a great twist. And sad. How much more will his father hold this against him? Ooh! Such is the cruelty of life, indeed. This is both a sad and hopeful ending. Sad for Joshua losing his life and the family that will never have a chance to know him, and hopeful for Gary who has a new chance at life. Whatever mistakes he’s made in the past, I hope he tries to make the best of things going forward. Though I worry for the relationship between Gary and his father. There are clearly some gaping wounds there. Well done! A wonderful story that raises questions. I figured out the end but was still saddened when it happened. The back story and the future developments are what really pull this all together. This part of the story is an excellent teaser; perhaps a first chapter or prologue (if you go for that). I want to know how the brother went missing, how Gary strayed down the wrong path, why the father didn’t look for his other son, how the mom has dealt with all of this, and what will happen when Gary leaves the hospital. Best of luck continuing this story. It’s quite intriguing. I was confused at first when you spoke of the son in the hospital but as soon as they were at the hospital it made sense, except why didn’t the father look for the lost son initially? Did he give the child away? (the years of deceit)? I would like to read more, as siblings can have complicated relationships. Great story. Wow. That had some twists. Good use of the prompt. Nice work. What a unique premise! Great twist! I wonder if the new heart will change his ways. There’s the potential here for so much more. Great stuff. Huge congratulations on your WEP award. I have been musing on this story ever since I first read it. Nicely done, Michelle! When I read “accident” I thought oh,no . . . is this his brother? And now I’m wondering beyond the story’s end, how the father may treat Gary now that he has the heart of a “good” man. Fantastic story! There is so much left to the imagination, those teasers about how the son was lost and what’s up with the father. For a flash of this length, I’m not sure I’d have added the bit about him not really looking—maybe one too many unanswered questions? But I can see this as the seed of a longer story, for sure, and there you’d want all that complexity. 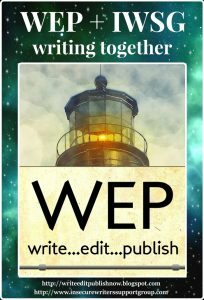 Congrats on your WEP achievement. I really do hope to see more from this story. Wow! This story is gripping. Congratulations on your award! This story is awesome. Engaging and intriguing.